A brain aneurysm is a protruding bubble or sac on a blood vessel caused by a weak spot in the vessel wall that balloons out over time. Brain Aneurysms have thin, weak walls and a tendency to rupture, causing bleeding into and around vital brain structures. Causes include blood vessel defects at birth, a blockage or thinning of a blood vessel opening, infection or head trauma. 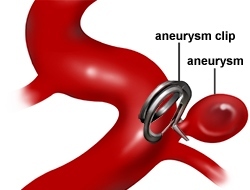 Diseases associated with brain aneurysms include polycystic kidney disease, fibromuscular dysplasia, arteriovenous malformations, connective tissue disorders, other family members with brain aneurysms, and Osler-Weber-Rendu syndrome. Autopsy studies indicate a prevalence of approximately 5 percent. About half of brain aneurysms rupture. 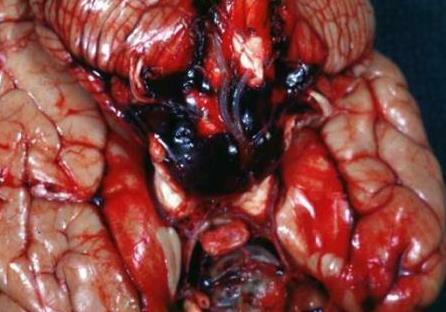 Most brain aneurysms are undetected until they rupture. Some are discovered after they cause mass effect, or compression of the brain or sensitive structures such as cranial nerves. 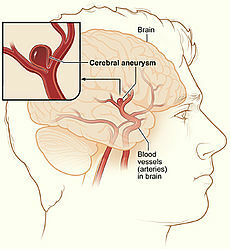 Brain aneurysms also are discovered during diagnosis of small strokes and seizures. A computed tomography (CT) scan can identify presence of a brain aneurysm that bleeds into the space surrounding the brain. Cerebral angiography provides important information regarding the location of the brain aneurysm and the presence or absence of vasospasm, or the sudden constriction of an artery. The optimal treatment depends upon the patient’s history, physical examination, age and risk factors, and the characteristics of the brain aneurysm. 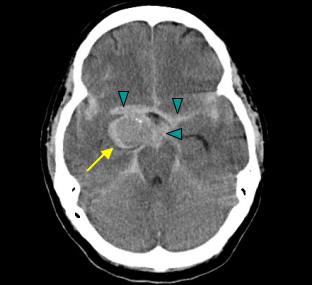 Ruptured brain aneurysms require immediate treatment to prevent another rupture. Rebleeding is very common, especially within the first two weeks after rupture, and usually more severe than the initial rupture. Surgical treatment involves either surgical clipping or endovascular coiling to stop the flow of blood into the weakened artery. 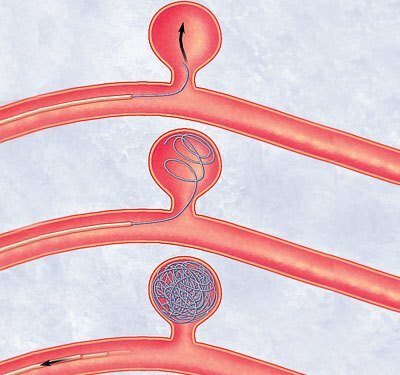 Giant and complex aneurysms often require combined treatment using endovascular techniques in conjunction with extracranial-intracranial arterial bypass, or surgery under hypothermic circulatory arrest. Endovascular surgery: Using angioplasty techniques the aneurysms can be obliterated using multiple coils. This is a minimally invasive technique avialable with us at Apollo Hospitals. Postoperatively, transcranial Doppler and cerebral blood flow studies are available to check for the development of vasospasm. Severe, medically refractory vasospasm is treated using balloon dilation angioplasty, performed by the interventional neuroradiology team.